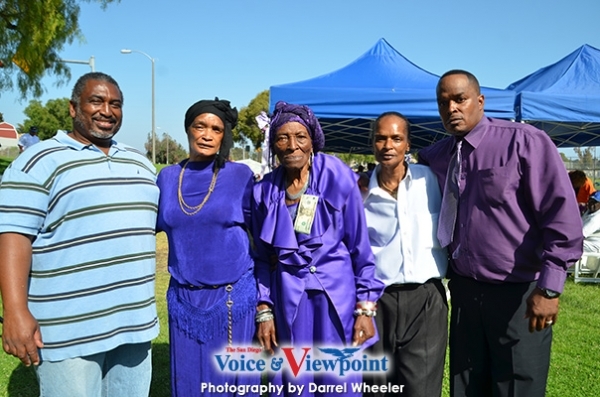 Family, friends and community leaders showed up on June 8th at Mountain View Park to celebrate the 86th birthday of Ms.Theresa Saunders, aka Mama-T of southeast San Diego. 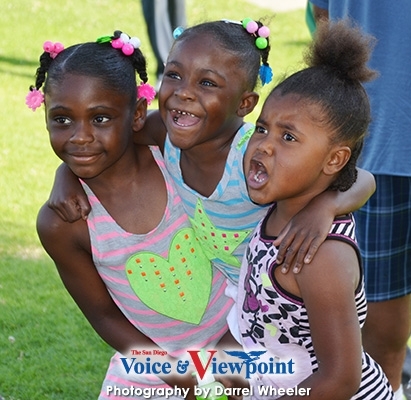 Her get-together was a dual celebration, recognizing her birthday and her community accomplishments. 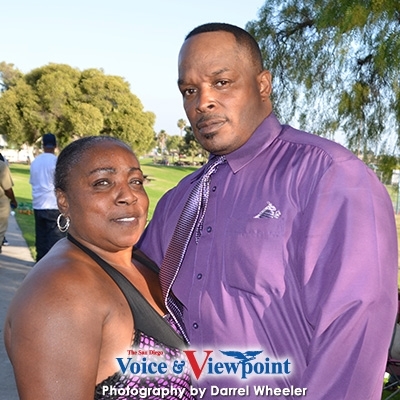 Mama-T and the community were treated to a soul food feast, music, dancing and plenty of emotional and humor-filled speeches. 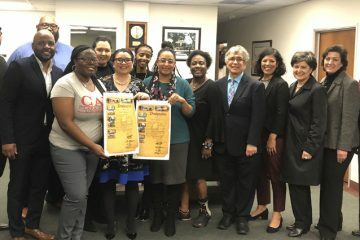 Community activist Kathleen Harmon presented the birthday girl with a special commendation award from councilmember Myrtle Cole for her many years of dedicated community service. Theresa Saunders was born on June 5th 1928. As a young woman Mama-T worked in the home care field and always cared for others. A pillar in the community, she is a mother of six, grandmother of seventeen, great-grandmother of ten and great-great-grandmother of four. Sons and daughters: Asa, Jacque, Denise and Gayle with help from other family members and friends helped in ensuring Mama’s T’s day was a very special occasion. 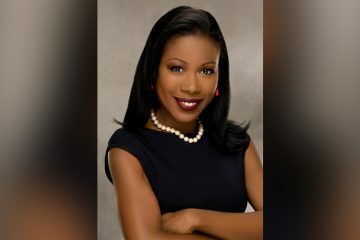 Currently, she volunteers at Mount Olive Baptist Church passing out food for needy families. Mama T also helps at the neighborhood house every week and true to her giving nature, she also passes out free food outside her home. Providing cloths to those in need throughout her community and working tirelessly to always give of herself, at the age of 86 shows no signs of slowing down. If you’re hungry she’ll always feed you. “I really appreciate all my family and friends for showing up and helping me celebrate my 86th birthday. 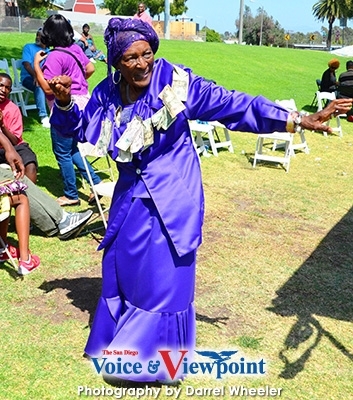 I love all of them,” Southeast San Diego’s community treasure Mama-T said.